Indian team created history when they won the first-ever Test series in Australia. The fourth and final Test match at the SCG resulted in a draw due to bad weather. India won the series with 2-1. The Virat Kohli-led team ended the 71-year wait to write a new chapter in their cricketing history. Virat Kohli also became the first Indian as well as the first Asian captain to return victorious from Down Under. India are currently ranked as the number 1 team in the Test matches. India have a strong bowling unit with good spinners and penetrating fast bowlers. Still, India have to fill various spots in the squad to make it a complete unit. Indian openers are not able to give a fine start to the team. Even the likes of Ajinkya Rahane and Hanuma Vihari were not able to create a huge impact in the lower middle-order for the team. So, the selectors could look for other players who could fit the criteria. Many youngsters have performed exceptionally well in the domestic circuit. They should be rewarded for their consistent performances with a proper chance in the Test cricket to prove their mettle. These players should immediately be drafted into the squad and management should groom these players to form a great team. Here are the three young players who could get a chance to play Test cricket for India year. 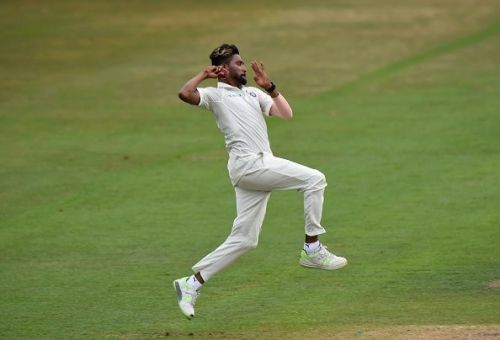 Mohammed Siraj's rise as a seamer is a remarkable story. His father was an autorickshaw driver in Hyderabad and he became serious about cricket only in 2015. In his second season in 2016-17, he took Hyderabad to the quarter-final in the Ranji Trophy, taking 41 wickets from nine matches. Siraj has performed exceptionally well in the domestic circuit. He has the ability to swing the ball into the right-handed batsman could be very useful for the team. He also bowls pacy bouncers. Siraj has an impressive record in the first-class cricket as he has taken 112 wickets in 25 matches. Siraj bowled sharply for India A in England. He took 15 wickets in two matches which include three four-wicket hauls. The Indian team management should look to give a chance to this youngster. He could prove to be a good backup for the team.